Emily is from Seattle and moved here with her family several years ago. She has been in the beauty industry for six years. Her passion is to help woman feel amazing by enhancing their natural beauty. She loves to educate her clients on how to recreate fabulous salon looks at home through simple little styling hacks. 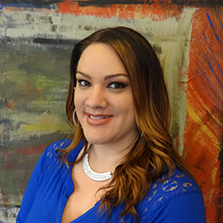 She has had extensive training in color and cutting techniques through education classes with Goldwell, Bumble and Bumble, Oribe, Kerastase, and Redkin. 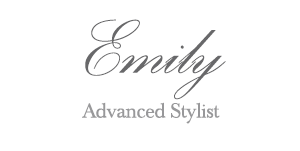 Emily is motivated and passionate about her career as a hairstylist and is always furthering her education to stay on top of the current trends. "If you truly love what you do, then you never work a day in your life"